I have to keep today’s post short as that’s what I am with time at the moment. I am invited to a wedding tomorrow and to accompany my money gift I made some cookies. They are straightforward shortcrust pastry cookies. For the dough I mixed 200g flour, 125g butter, 75g sugar and 1 egg yolk. 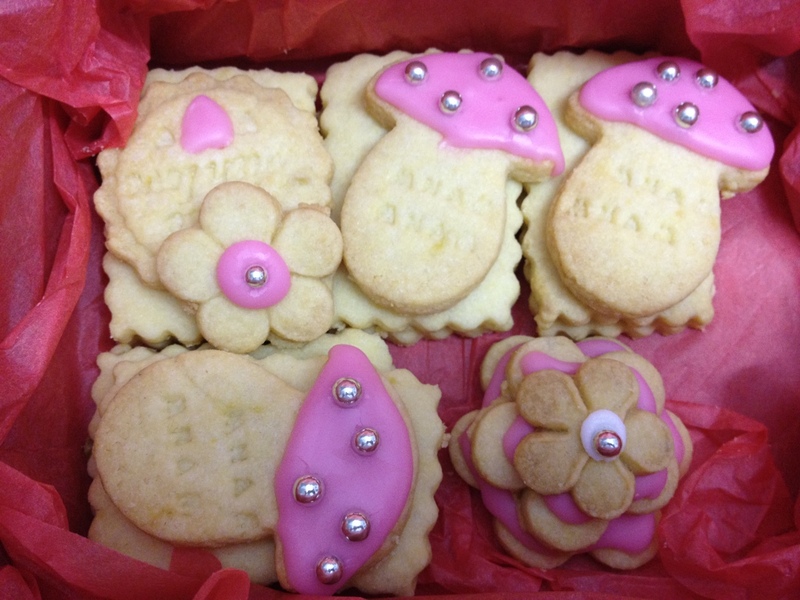 I used mushroom and flower coocie cutters as well as cookie stamps. The icing is simple, too, lemon juice, icing sugar and red food colouring. I hope the happy couple likes them!